It’s the history of Misfat filtration, a Tunisian company that succeeded in some years, to enter the European markets of manufacturing and distribution of filters for all types of vehicles. This is the best example of a company , which is full of ambitious projects. Misfat filtration is the leader of the Tunisian market through its local distribution platform Azur Pieces Automobiles. Based in Jedeida and founded in 1979, the factory currently employs more than 850 employees and produces 16 million filters per year, mostly dedicated for export. To achieve this level of progress, Misfat Filtration crossed the Mediterranean and imposed its products to its customers in Europe. In the beginning of 2000, Misfat filtration has become a recognized supplier thanks to OE quality products sold at competitive prices and excellent service. Misfat fitration consolidated its position as an original equipment supplier and took its output to original quality level with European as well as American and Japanese car manufacturers. 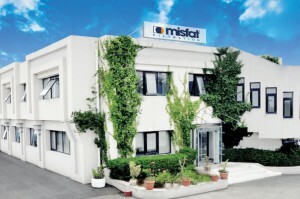 In 2010, Misfat filtration created Misfat Morocco; an industrial air filters manufacturing site and regional distribution center and a new subsidiary in Poland, Misfat Europe in 2011. In June 2014, Misfat filtration has opened Mecafilter Rus, a regional distribution site based in Moscow. The head office remains always in Jedeida. Today, the group is counting around 1000 employees, taking into consideration the French employees, Spanish subsidiary and those created in Morocco, Poland and Russia.